Welcome to connect2, the online resource booking systems for the Learning Design & Technology department at the University of Virginia. We have a variety of rooms and equipment that can be booked by instructors, staff and students for academic purposes. daily during NCH open hours, by reservation. Please see the Policies section on this page for more information. For questions about the Language Lab, please email Keith Samuels kfs7j@virginia.edu. For questions about the Maker Studio, please email Jason Bennett at jasonb@virginia.edu. For questions about the Media Studio or equipment checkout, please email Jessica Weaver-Kenney at jw8va@virginia.edu. Contact Jessica Weaver-Kenney (jw8va@virginia.edu) for more information. New Users: please schedule a consultation prior to your first lab class. Contact Keith Samuels (kfs7j@virginia.edu) for more information. Reservations and Cancellations should be made at least 48 hours in advance. The Maker Studio is available to all U.Va. Faculty, Staff, and Students as the schedule permits. You must sign the Maker Studio Code and Contract form before using the studio. Pay attention to the usage and certification requirements for all tools in the studio. Card access is granted on a case-by-case basis. Please contact Jason Bennett (jasonb@virginia.edu) to learn more. 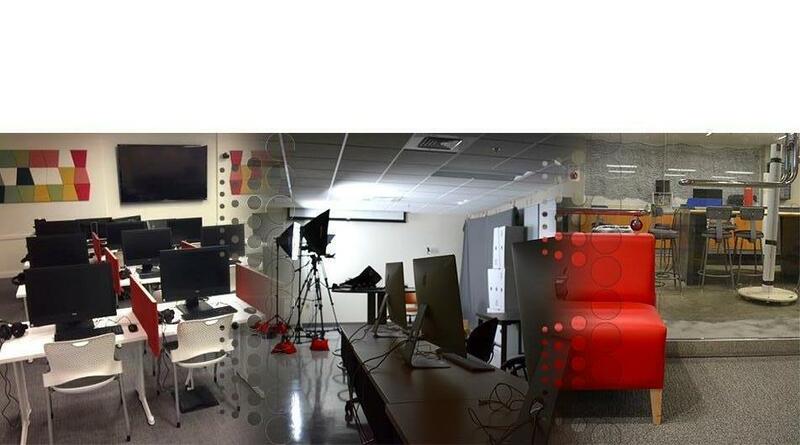 The Media Production Studio (Wilson 235) is available to all U.Va. Faculty, Staff, and Students as the schedule permits. Pay attention to the usage and certification requirements for all equipment in the studio. Staffed hours are 10am - 4pm Monday through Friday, unless otherwise noted. Check the Announcements section of this page for schedule changes. After-hours access is granted after completing an orientation. Please contact Jessica Weaver-Kenney (jw8va@virginia.edu) to learn more. Reserve equipment by clicking "Book by Category -> Equipment" at the top of the page (or click here). Reserved equipment is available for pickup and return in the Media Equipment Checkout (Wilson 207) between the hours of 10am and 4pm Monday through Friday unless otherwise noted. Check the Announcements section of this page for schedule changes. If you are a Media Studies student, please make sure you have signed the Media Studies Equipment Stewardship Code and Contract in order to check out Media Studies only equipment. The Simple Video Studio (NCH 277) can be reserved for use by all UVA faculty and students. A USB thumb drive is required.